Hello! 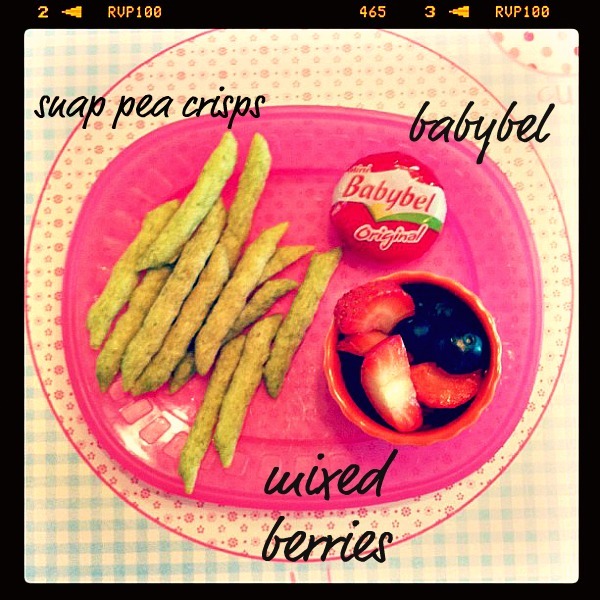 I have three days of kiddie snacks for you today. It’s been a while since I’ve posted one of these. Sometimes life gets so busy I forget to do something as simple as take a picture. 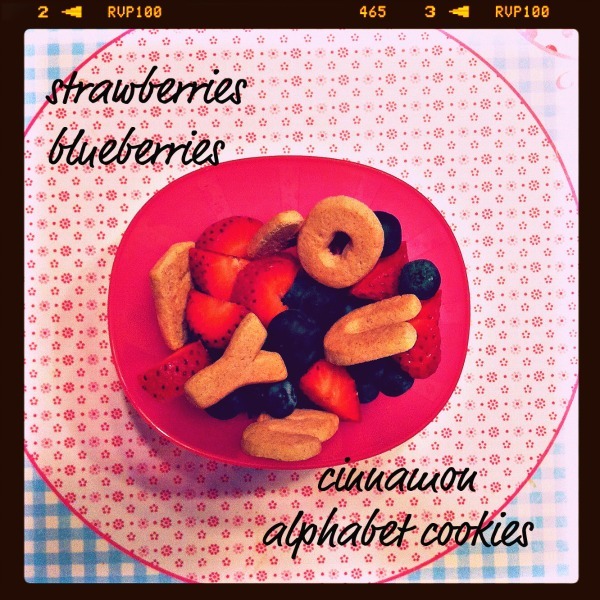 In the last snack, I mixed cookies and berries. Whenever M asked for cookies as a snack I mix it in with some type for fruit. Somedays she’ll eat more berries then cookies, and other day’s she’ll eat only cookies. I feel good knowing I’m providing her with a variety of choices. Love these! Thanks again for sharing. What is the brand of the cinnamon alphabet cookies? We are working on letters now and they would be great! Also…my Mother in law has started cooking (baking) with Clarke on Fridays and it is going great! She has started taking an interesest when I cook! Thanks for the inspiration! Oh gosh…I love it!! Who knew to mix the cookies with fruit. Thanks for this idea!! AND, i miss TJ’s so much. We don’t have ANY here in LA! Boooo!! 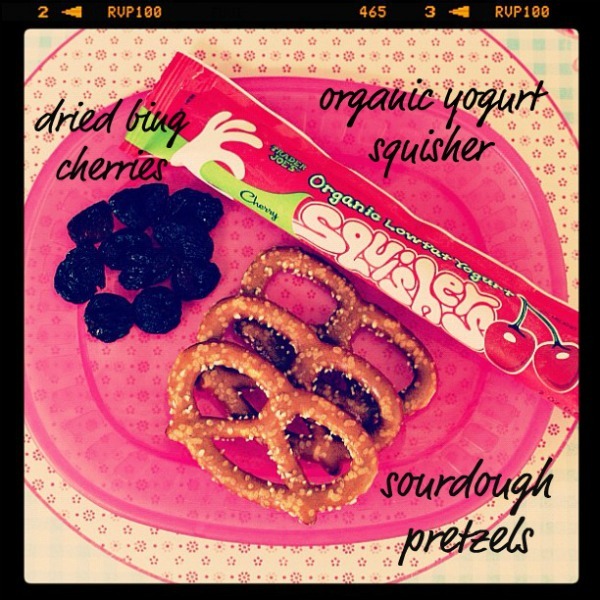 Snack time is always fun! These look like tasty snacks!